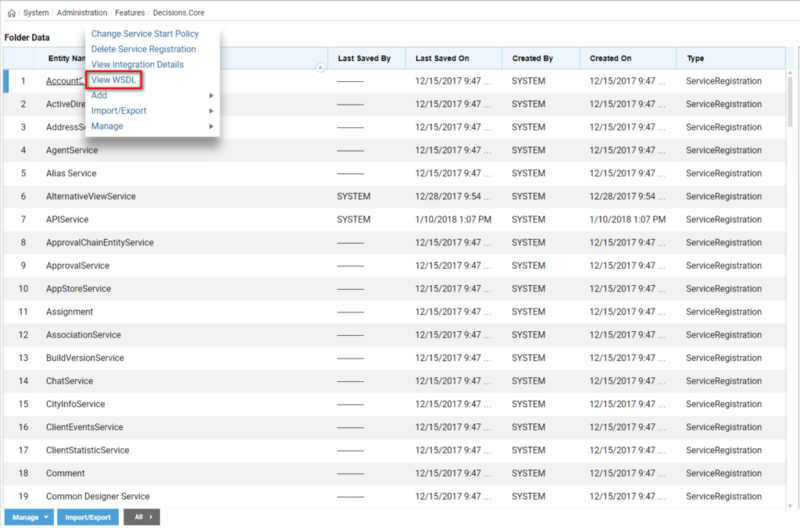 Browse the services in the decisions.core module and view the WSDL description for every service. The WSDL file contains information about how a service should be called, what parameters it uses, and what sort of data structure it will return. To begin, we navigate to System > Administration > Features > All Services	. A list of services in the module displays in the folder data panel. View the WSDL description for any service by selecting it and selecting View WSDL	from the entity actions menu. The WSDL description can be accessed from the link below.